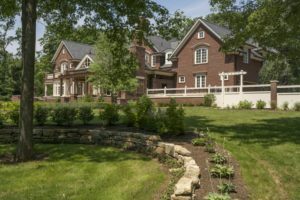 Country Estate - Bosenberg & Co. 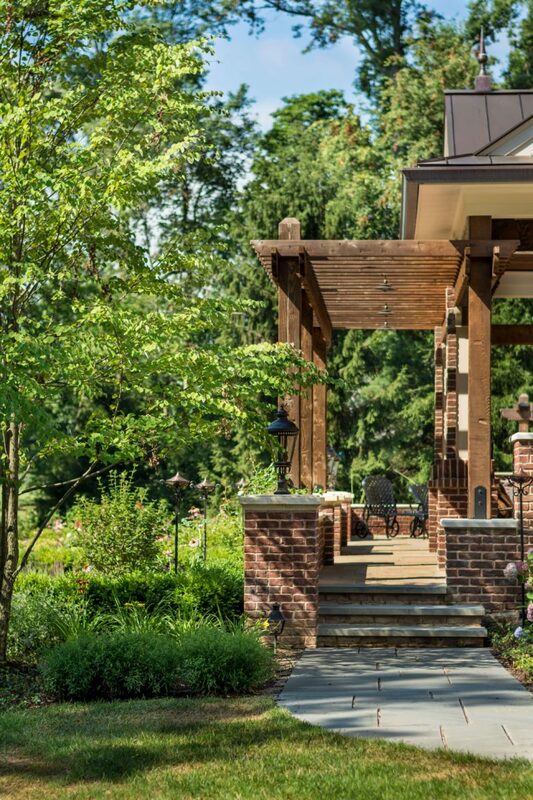 This brick home located in Bernardsville, NJ originally had a large uncovered patio adjacent to the rear of the house. 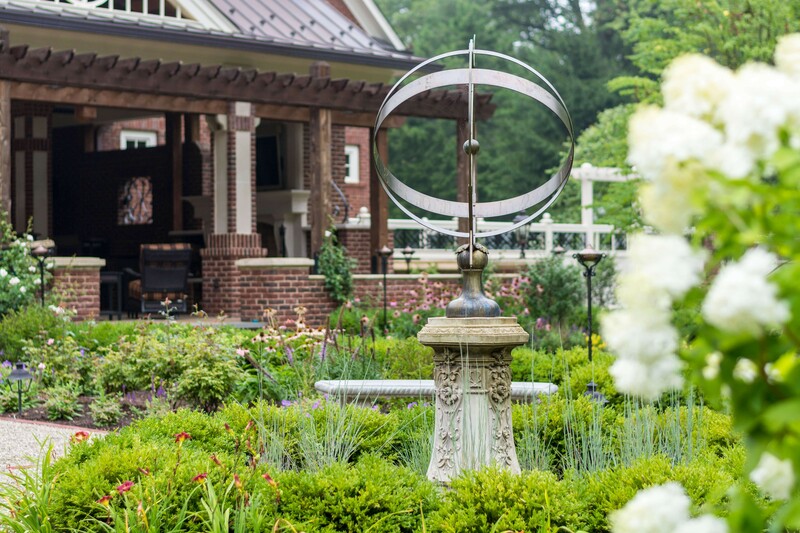 The southern orientation made the patio unusable during the summer months. A covered dining and entertaining area with a fire place was added to extend the usability of the area throughout the year. 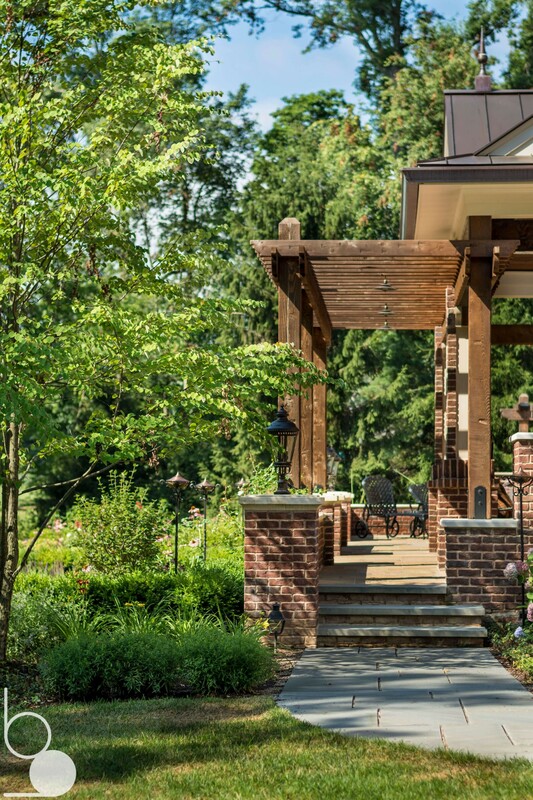 Additionally a BBQ area and outdoor bar was added to the patio adjacent to the kitchen. 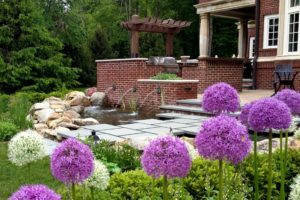 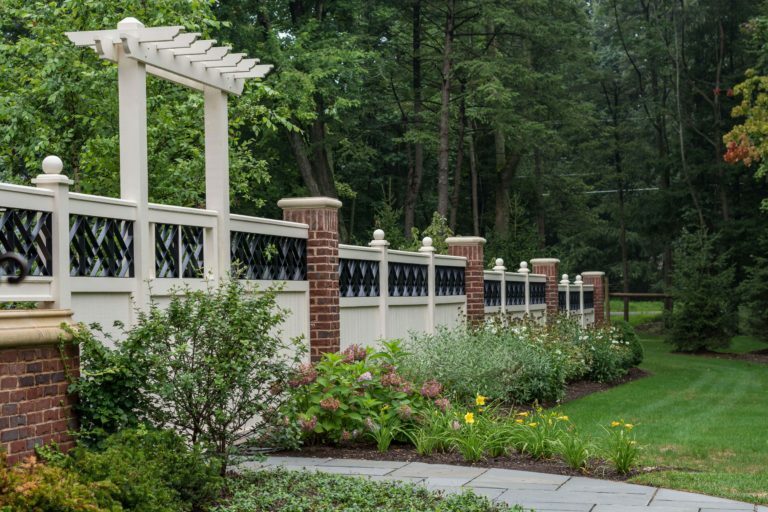 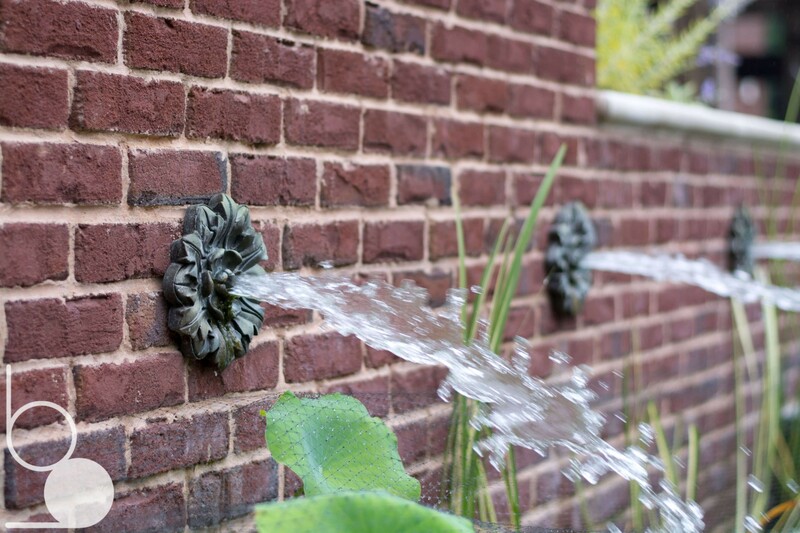 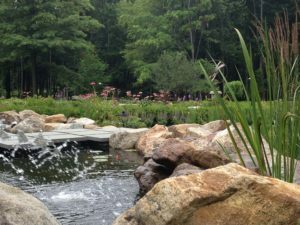 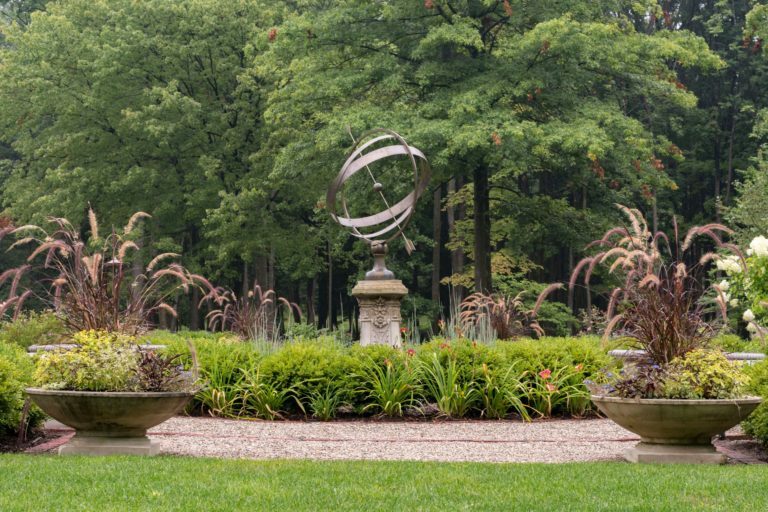 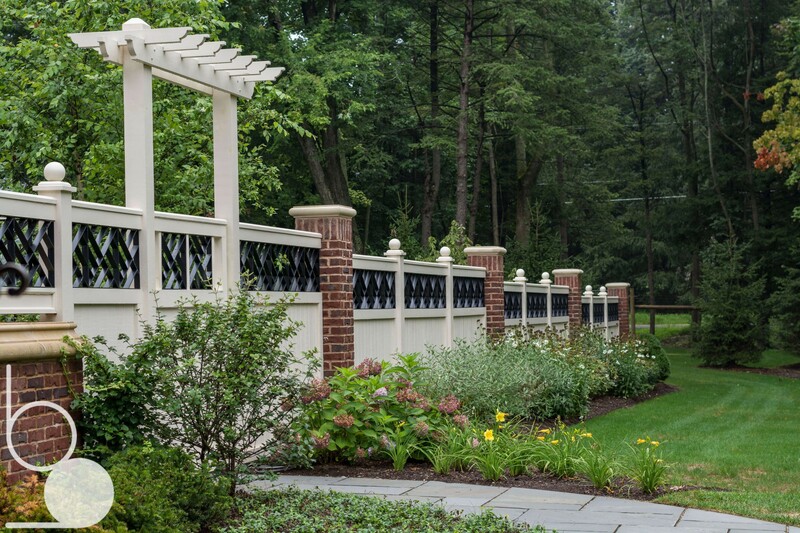 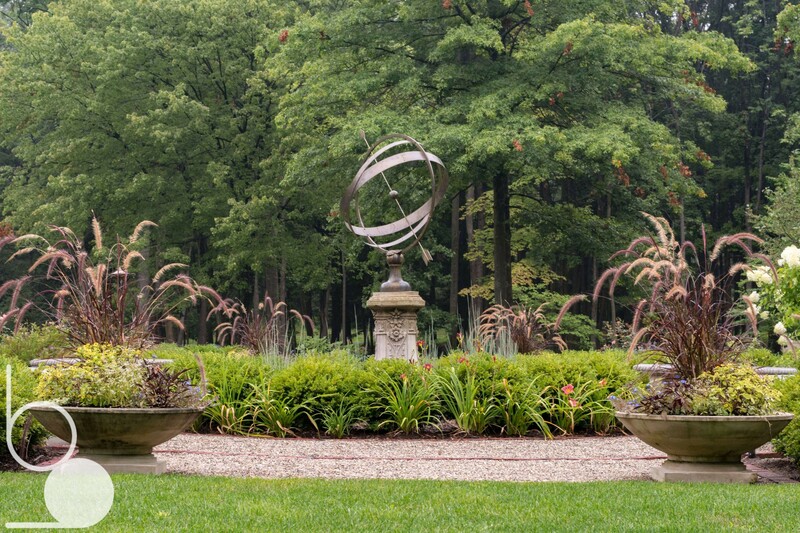 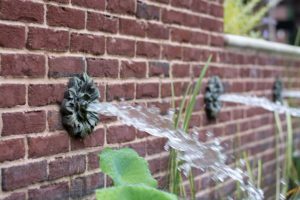 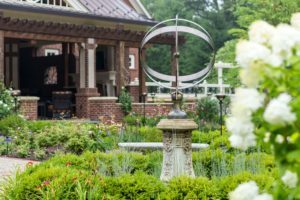 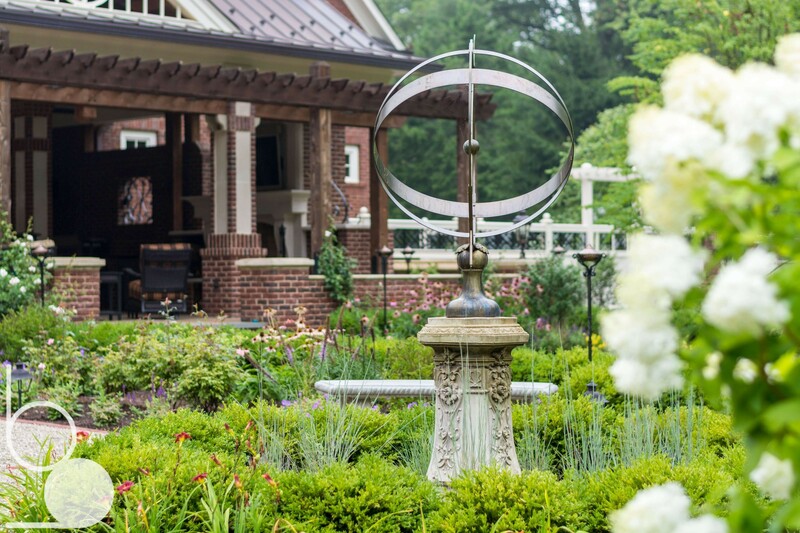 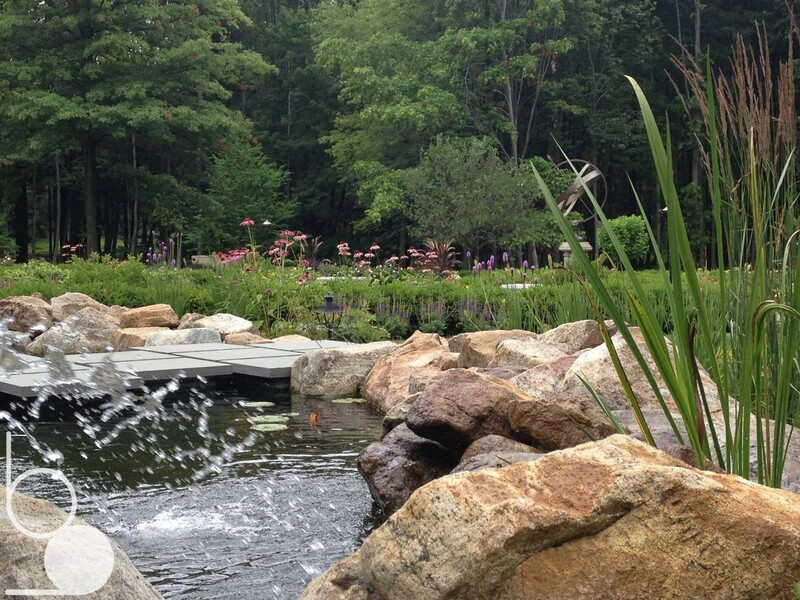 The views from the new patio areas lead out to a new formal garden accented by a koi pond, a water feature and an armillary to act as the focal point for the garden.